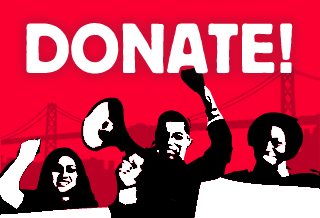 Causa Justa believes that the work of organizing for healthy housing is critical in Oakland at this moment, particularly for youth. Tenant protections are so urgent because quite often housing stock has not been adequately updated nor maintained. This affects many people especially Black & Latino tenants who are living in poor conditions — whether its mold, lead paint, or non-functioning utility systems. These are all problems that affect a vast majority of low-income tenants in Oakland. The work we do — informing tenants of their right to repairs, passing and strengthening tenant protections, is also connected to the fight to preserve housing and transform them into healthy homes for all. We believe that when all homes in Oakland are improved, it will make life better for everyone. Our tenant rights counselors can attest to this as they work daily with distressed renters who come in with severe habitability issues including children suffering from asthma, lead poisoning, leaking pipes, non-working toilets, lead paint and more. 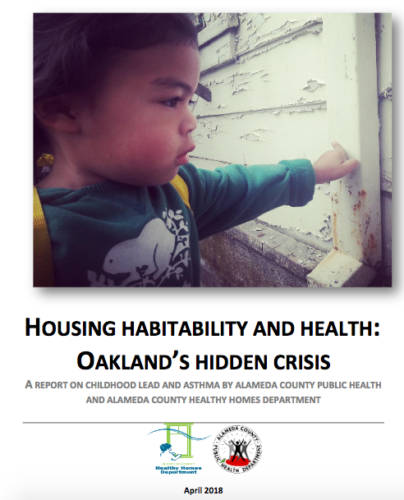 This report highlights the absolute need for general funding from the City of Oakland for critical tenant counseling, legal defense, proactive rental inspection programs, stronger tenant protection policies, and enforcement of the current ones. Join us in fighting us for these needs and holding the city accountable for enforcement of hard-fought for housing policies and the investment of sustainable funding for all low-income tenants to receive counseling during this heightened housing affordability crisis. When we pass stronger rent control and protections and enforce them, when we make housing healthier, every person in the community benefits. Your neighbors are healthier and your community is stronger. Our collective work helps create a stronger, healthier, more sustainable community for everybody who lives here. < Urban Shield No More!